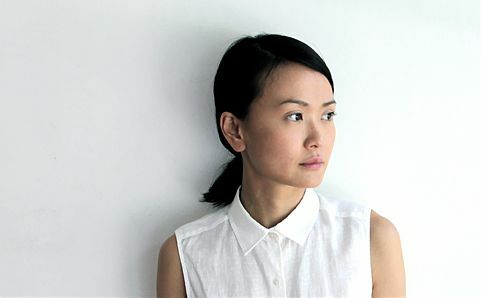 The 31-year-old darling of the local art scene, Dawn Ng, tells Gwen Pew about her new show at Chan Hampe. Dawn Ng. Image courtesy of Chan Hampe Galleries. 27 Dec 2013: Whether it’s through her lovable inflatable bunny, Walter, or her whimsical collection of boxes in Sixteen – which sold for $60,000 at Art Basel Hong Kong last year – you’ve most likely come across the work of Dawn Ng one way or another. To kick off 2014, the 31-year-old darling of the local art scene presents her newly-created Windowshop at Chan Hampe. The exhibition consists of more than a thousand individual items that she sourced from over 30 junk shops, most of which will be held in custom-designed glass cabinets. One of the highlights is a piece called ‘No Point Losing These’ – ‘a waterfall of over 300 vintage marbles that are set at various heights, distance and widths apart, [and] stands as a time capsule of a particular era of childhood gone by’, as described by Ng. There will be a few items that visitors can interact with, including a merry-go-round, a salvaged coinslot and a pair of iron binoculars, but the junk shop curiosities will only form half of the show – the other half are iconic objects that Ng created as she felt they ‘were representative of this day and age’.